Measures 6 inches tall from bottom to the top of the stem, 7 1/8 inches wide, and door measures 2 3/4 inches tall. There is a hole in the bottom so that you may install your own lighting. Door does not open and close. 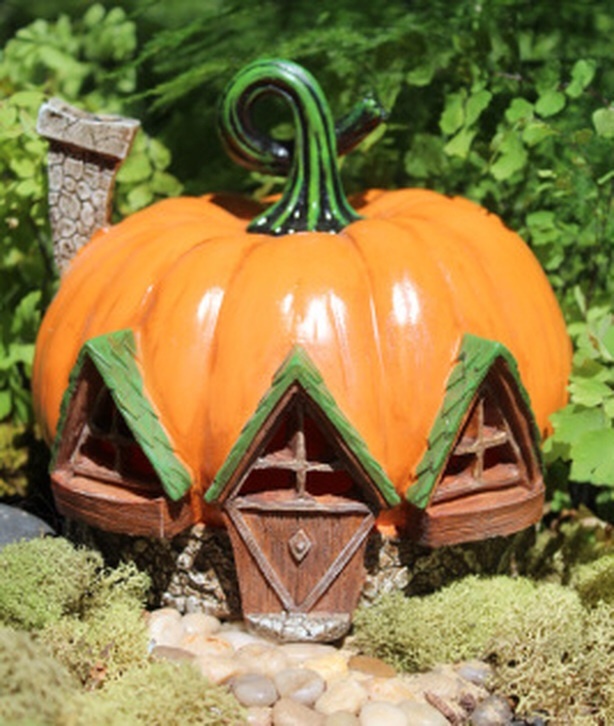 Fairy home made of resin (a durable material that withstands the outdoors well, but should be brought in for the winter).